All tracksÂ performed by Hardgrave, Moreland and Helm except #6 which is Hardgrave and Helm. All rights reserved by the artists.Track #6 features Mark Hardgrave on drums and lead guitar recorded Jan1 2005. Tracks 2,3,4 & 5 recorded live in the stuidio 9-7-04. Track #1 mixed and mastered by Bret Moreland circa 2002. Casino field recording by Bret also. 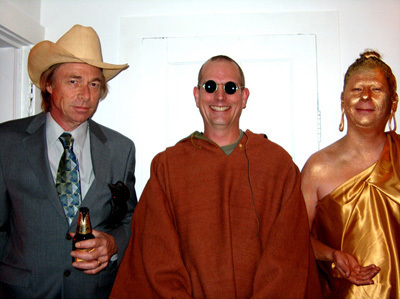 Â Photo of BrotherSync at Halloween 2004. Track #5 is for Wally Mitchel. Thanks for listening, more sooner than the last soon, and happy holidays to all.